Mohave Community CollegePress ReleaseWelding Presentation for PASS/PALS Students by MCC. Welding Presentation for PASS/PALS Students by MCC. Posted on January 31, 2019 January 31, 2019 in Press Release. Back in November, Buddy May, a welding instructor over at MCC, presented information on Mohave Community College’s Welding Technology program to approximately 30 students at Kingman Unified School District’s PASS/PALS. The simple explanation given was that welding is basically making one piece of metal from two pieces of metal. The type of welding process used is determined by the type and thickness of the metals being joined. There are four different types of welds: Mig, Tig, Stick, and Flux-cored. Mig, short for “metal inert gas,” uses continuous feed wire. Tig, tungsten inert gas, uses long welding rods that are slowly fed. Shielded metal arc, commonly called “stick welding,” uses electricity to create an arc between the stick and the metals being joined. Flux-cored is a wire-feed process but differs in that self-shielded flux-cored welding does not require a shielding gas. The students passed samples around as Buddy explained how welds are examined for quality when completing certification testing. He showed how the 1-inch thick bars were cut and acid etched to show the weld which couldn’t be seen otherwise. A cut-away piece was passed around so that the students could see and feel the difference. He showed that thinner plates are cut into “straps” and bent 180o to show the strength of that weld. The welded pipe piece was passed among the students while Buddy explained that the sample had a weld that would need to withstand 900 psi and up to 1500oF to be used in a steam plant. The students were interested in how much opportunity is really out there for them in the welding field. 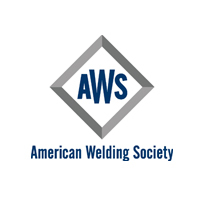 It was estimated that the welding field has a shortage of 250,000 or more workers with that number continuing to grow due to the current welders nearing retirement more rapidly than new welders are coming into the field. The students learned that the income for welders can range depending on experience, difficulty, and danger level. An entry level welder might only make $12 per hour while a welder with many years’ experience could earn around $100 per hour. There are many careers available in the welding field, ranging from shipyards, railroads, construction, and pipeline. There were questions about underwater welding and what those welders earn and the danger involved in that industry line. The students were a bit surprised to learn that the equipment worn, just to go into the water, weighs around 200 pounds! The weight of the gear can often be the deciding factor in a welder choosing not to go that route. The students learned that movement from entry level can take place within 3-6 months of being hired, how quickly and how far they move up in the field will be determined by their knowledge, performance, skills, and attendance. Welders must be able to pass background and drug testing as part of certification and many employers will provide on-site certification in order to hire a welder. In addition to joining metals, welders often have to cut metals. MCC’s welding students use oxy, plasma arc, and a cutting track. The oxy and plasma can be used for many cuts, but the cutting track is used when the goal is to have a long, relatively straight cut. The students inquired about program costs and it was explained that the WAVE/JTED program would pay for them to take classes during their junior and senior years of high school. After high school, they should complete the Free Application for Federal Student Aid (FAFSA). Mandy, Student Services Technician, advised that in addition to the tuition, technology fees, and student activities fees, the program has course fees which vary by course and they may need to purchase books, too. Buddy reminded everyone that they will also have the expense of purchasing their own protective equipment which includes a hood, jacket, and gloves.